Visitors to Krakow might easily spend their entire trip within the confines of the Old Town’s medieval main square, where they’ll find the Gothic spires of St. Mary’s Basilica, the tiny early-Romanesque Church of St. Adalbert, and the Renaissance-style Cloth Hall, which today houses the National Museum’s Gallery of 19th-century Polish Art. For sustenance, it’s simple to land at one of the many restaurants and cafes that ring the square; most offer outstanding views and, predictably, overpriced food and drinks. Instead, walk two blocks down Plac Szczepanski to the edge of the Old Town, where a blocky complex houses the Bunkier Sztuki Contemporary Art Gallery (bunkier.art.pl; admission 10 zloty, or about $3 at 3.25 zloty to the dollar). The structure is not dissimilar to a war bunker — hence, the name — and is one of the best places to track down contemporary art and cultural events in the city. Inside, you might see a simulation of the world after the fall of capitalism, or a site-specific Dada collage accessed through a long, dark hallway. 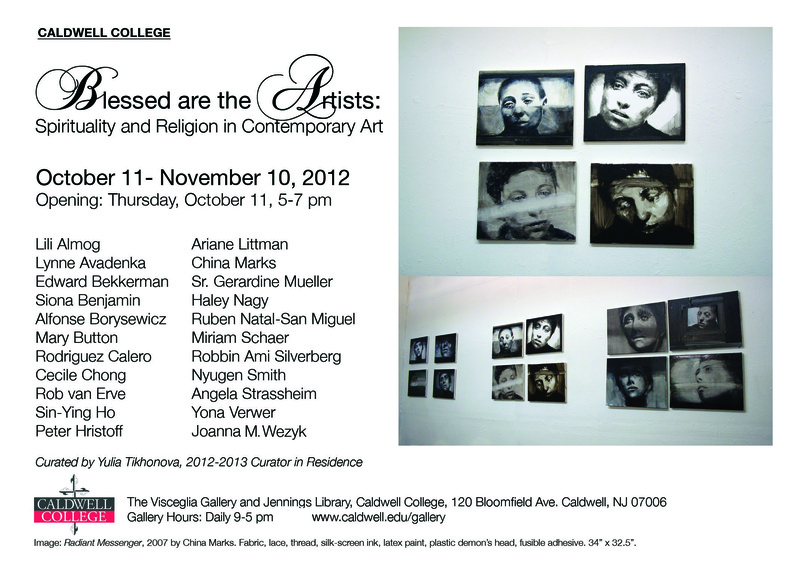 Caldwell – The Caldwell College Visceglia Gallery and the Caldwell College Art Department will present “Blessed Are the Artists: Spirituality and Religion in Contemporary Art” this fall at the Visceglia Gallery and Jennings Library, located on the campus at 120 Bloomfield Ave. The opening will be 5 to 7 p.m. Thursday, Oct. 11, and the event will run through Nov. 10. Admission and parking are free. The group exhibition will examine the role of religion in contemporary art and how artists use the language of religious traditions: theology, symbolism, allegory and ethics. It will look closely at the alliance of religion and art from the perspective of the major world religions. “Blessed Are the Artists” will showcase the different ways that artists use the “blessing” of their talent to investigate the role of religion in personal and public lives. Among the participating artists is Sister Gerardine Mueller, Order of Preachers, professor emeritus of art at Caldwell College, who founded the college’s Art Department in 1963. Under her leadership, Caldwell became the first college in New Jersey to offer a bachelor of fine arts degree. Her work has been seen in churches, colleges, universities and museums around the world. 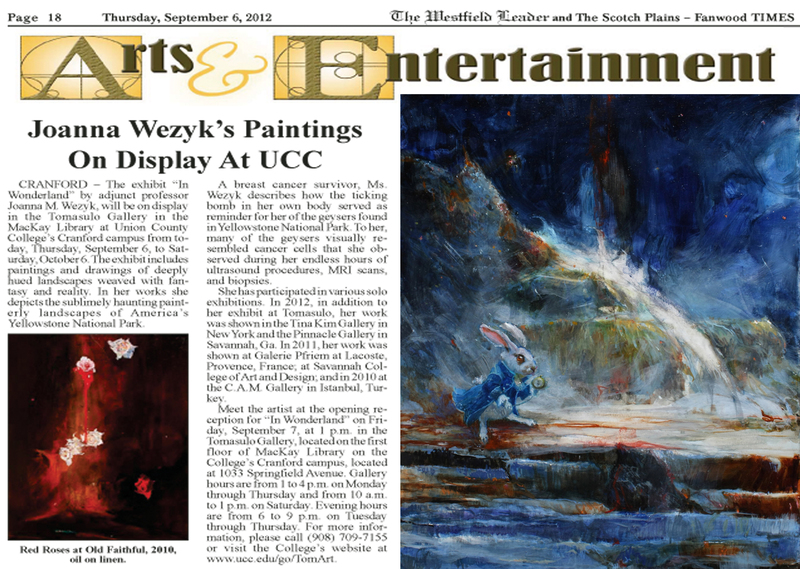 via Caldwell College to present art exhibition ‘Blessed Are the Artists’ – New Jersey Hills Newspaper: The Progress News.